Surfing in Nusa Dua is the right choice. Because in Nusa Dua is very nice with a nice sea waves. But not all of the sea in Nusa Dua for surfing. If you want to surf in the sea around Nusa Dua Beach, it should with greater effort. Therefore, to get a great ocean waves, surfers should go to sea until, hundreds of meters. Sea waves in Nusa Dua just happened and great in the middle and deeper. On the coast, the sea is shallow conditions. So that the waves of the sea at the coast smaller, there is not even at certain times. 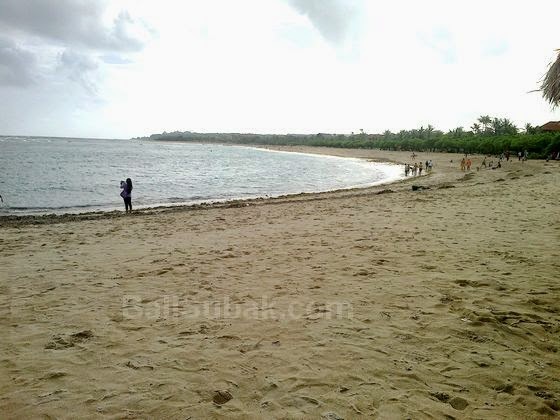 Surfers in Nusa Dua usually only make this beach to tempar relax and rest. Because of the sea in coastal areas and very little smaller than in the middle and far into the middle of the sea. To reach the sea waves requires more effort and energy in order to reach the sea. Not only that, surfing in Nusa Dua can also pose a greater risk of injury. Beaches around Nuda Two rocks are mostly very dangerous. Even if you walk in the rock, the possibility of your feet will be hurt if not careful. The coral reef is very sharp and dangerous. You have to be careful walking in the rock.